How to convert AVI to Blu-ray with AVI to Blu-ray converter? As a movie enthusiast, you may be quite fond of Blu-ray movies due to its superior picture and sound quality. Nowadays, it is very easy to obtain a piece of Blu-ray disc or other Blu-ray content. But have you ever met a situation that you would like to convert a video in another format to Blu-ray so that you don’t need to buy a new Blu-ray disc? As a popular video and audio storage standard, AVI is quite popular among your digital video library. So what is AVI? AVI is short for Audio Video Interleave. 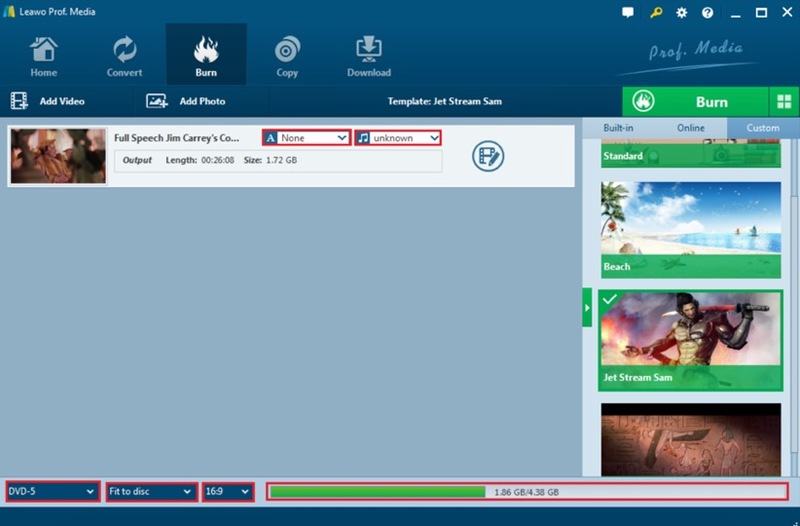 It is regarded as the standard for storing videos audios on PC. AVI could run on a lot of systems, such as Windows, Mac, Linux and so on. AVI can achieve a high rate of compression with various choices of codec and can play in mainstream media players without any quality loss. Now if you have many movies in AVI format, but you want to convert AVI files to Blu-ray. In such a case, what would you need to do? Is that possible to convert AVI to Blu-ray format? 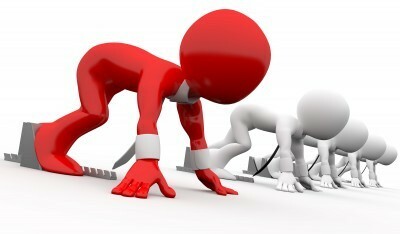 Well, it is entirely possible to achieve your goal. Next, I will elaborate the detailed information about AVI to Blu-ray conversion. Part 1: Preparation: What you need to convert AVI to Blu-ray? Part 3: How to convert AVI to Blu-ray? Before starting to convert AVI to Blu-ray format, you must be wondering what other tools are required to achieve the goal. As a matter of fact, you do have to make some preparations first. One of the most important preparations is a powerful AVI to Blu-ray converter program. Secondly, since you need to convert the AVI files to Blu-ray disc, instead of a common DVD disc, you should make sure your computer features a Blu-ray drive. And accordingly, you also need to prepare a piece of blank Blu-ray disc and make sure its capacity is large enough to store the file you would like to convert. In terms of Blu-ray burning program, you can have many options, including many AVI to Blu-ray converter for free download on the Internet. But you should pay attention here, usually the AVI to Blu-ray converter for free download is not professional enough and the functions are too limited. Here I will strongly recommend Leawo Blu-ray Creator for your reference. As a professional Blu-ray burning program, this program can totally meet your requirements to burn your AVI files to Blu-ray format. As a professional Blu-ray burning program, Leawo Blu-ray Creator is quite comprehensive in its burning functions and other customized features. For its full details, you can take a reference to the following parts. 	A powerful video to Blu-ray burning program. Leawo Blu-ray Creator could burn video and photos to Blu-ray from more than 180 file formats including MP4, AVI, MKV, FLV, MOV and so on. You can set your own preference on the output disc types. 	Personalized disc menu templates. 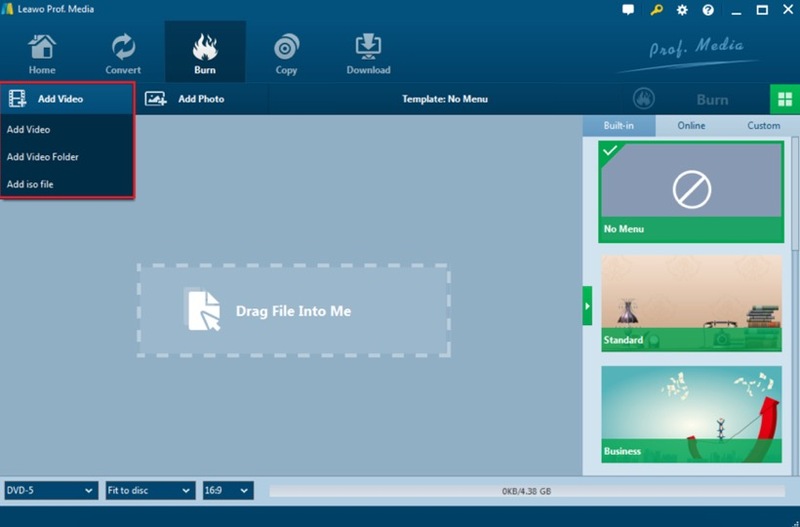 Aside from burning videos to Blu-ray format, it can allow you to make a personal disc menu with more than 40 types of templates offered. It can also help you to burn your favorite photos into a slideshow with ease. You can edit your videos freely, such as clipping, trimming, watermark, black margin removing, 3D movie effect, etc. With Leawo Blu-ray Creator as the powerful AVI to Blu-ray converter, now you can convert AVI to Blu-ray with ease. Please refer to the following steps for more details. Step 2. Insert a blank Blu-ray disc with enough capacity to your computer’s Blu-ray drive. Step 3. Run Leawo Blu-ray Creator and insert the AVI file to the program. Just click “Add Video” on the top of the main interface. Step 4. Output settings. You can select the output Blu-ray disc type and the Blu-ray disc menu templates below and on the right hand respectively. Step 5. Start burning AVI file to Blu-ray disc. Click the green “Burn” icon on the top right-hand corner to start the burning. Then you will be required to select the “Burn to”, “Disc label” and “Save to” options. Finally click the “Burn” icon again. After several minutes, AVI will be burned to Blu-ray format. You can choose your own favorite AVI to Blu-ray burning program according to your own requirements. But for me, I will push Leawo Blu-ray Creator as your firm choice which could provide you the greatest Blu-ray experience with its all-in-one burning functions and customized disc menu templates. With this program in hand, it will not be difficult to convert AVI to Blu-ray format any more. It is worth trying!